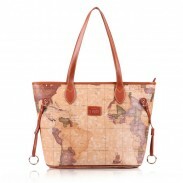 Leisure Rivet Glossy Handbag will fit for working and shopping. 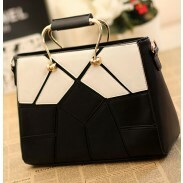 You will become supper star when you carrying this bag. 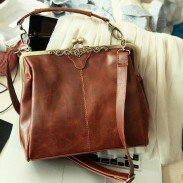 The handbag's Characteristic is wearable and texture soft, comfortable and elastic tensile strength is big. we chose to use light color hardware to natural beautiful luster! List Meticulously for you to add an unprecedented luxury accessories. My girlfriend loved this bag. Good buy.Very satisfied with my purchase.